Bake your brownies and let cool. 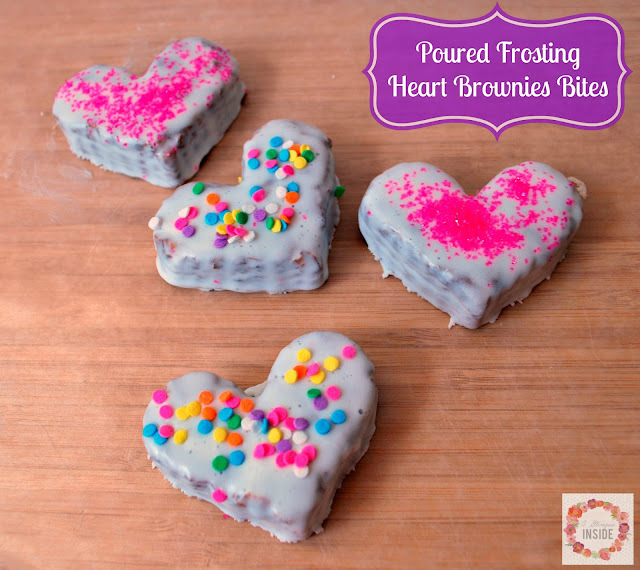 Using a heart cookie cutter, or any other cutter you'd like to use, cut out as many hearts out of the brownies as possible. 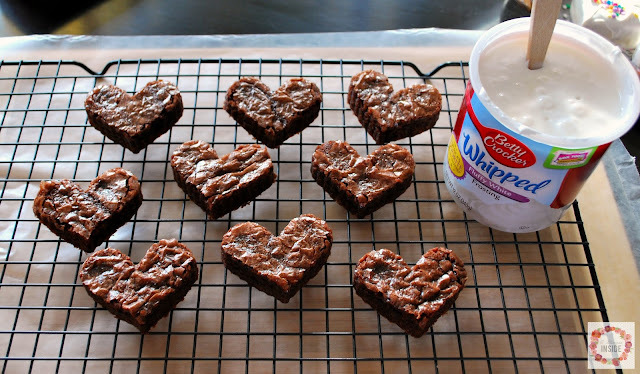 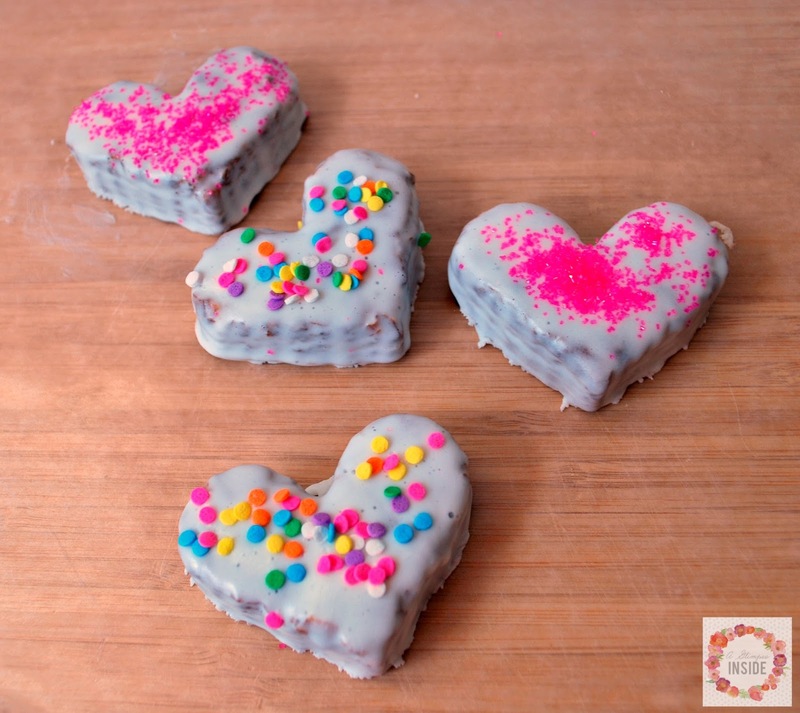 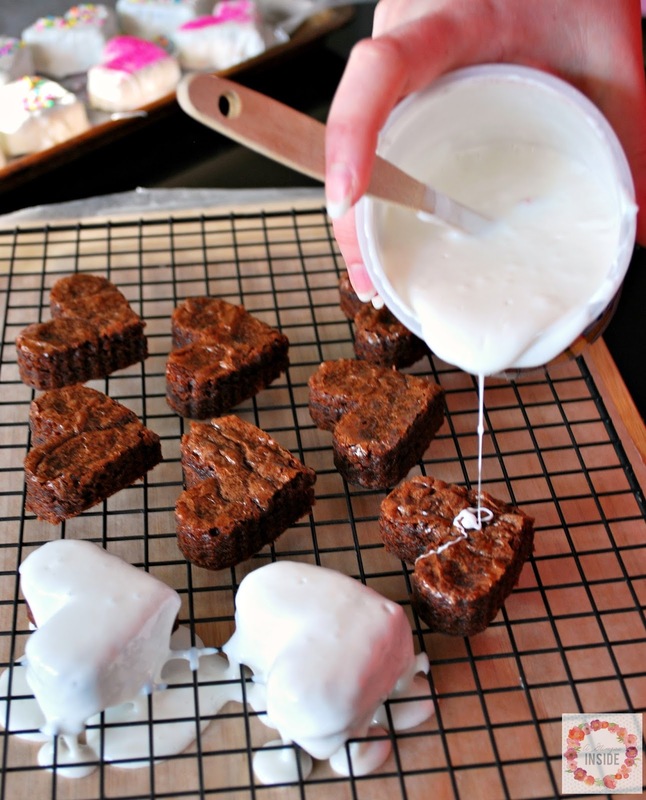 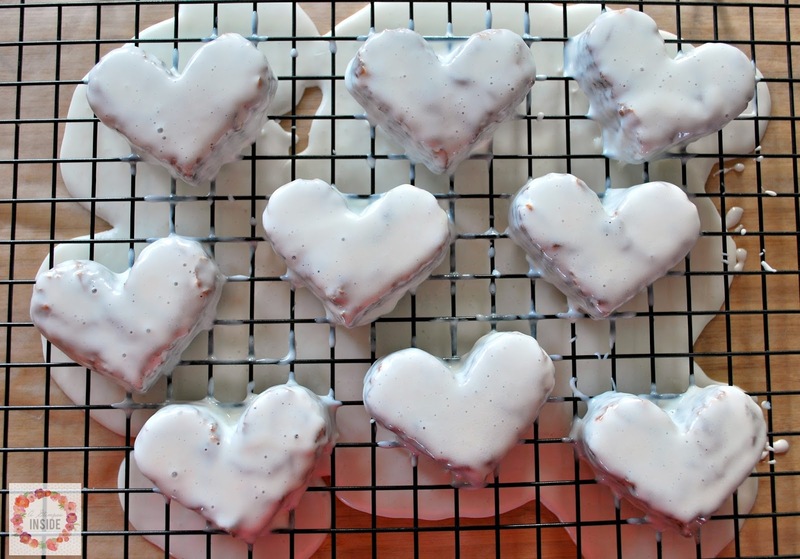 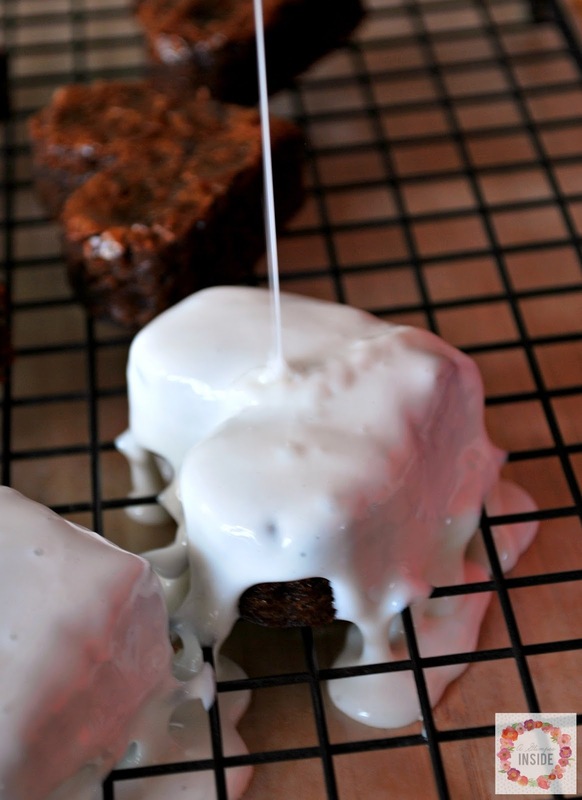 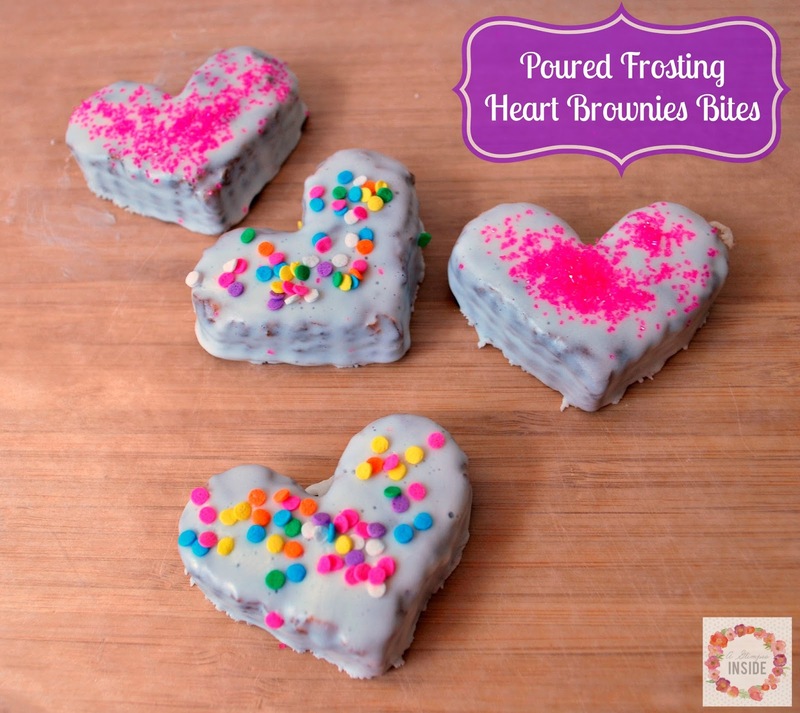 Next, place your brownie hearts on a cooling rack with wax paper UNDER the cooling rack. Then, in the microwave heat up the frosting for two 15 second intervals stirring in between.